With the Northern Lights 2011 placement secured I began thinking about the next chapter and began work on several applications. One of which was for the BBC (of which I was placed with the Northern Lights). 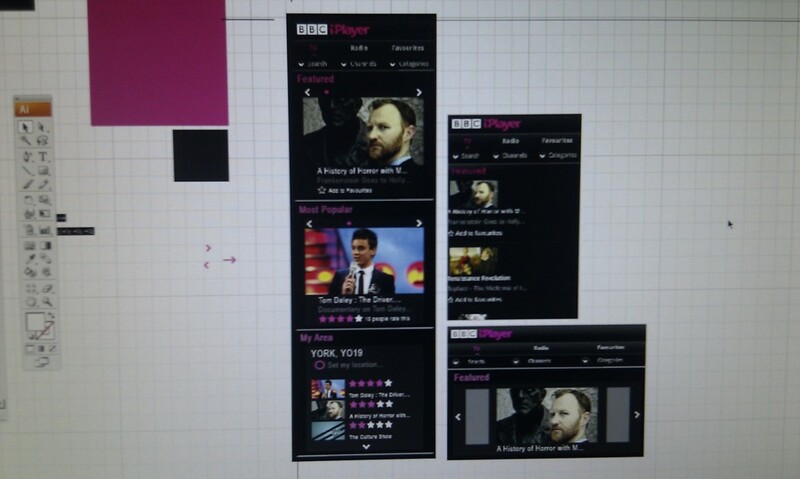 This was for the Future Media and Technology department and was focussed around iPlayer mobile. 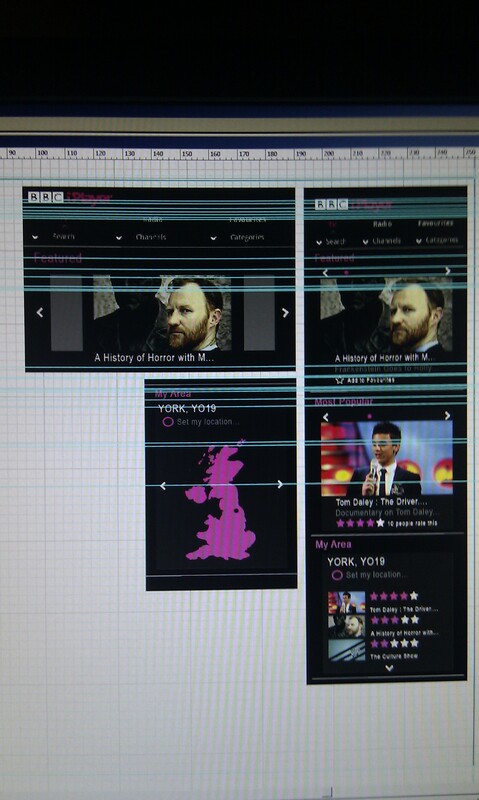 The key question was ‘In the age of the Internet, how could you improve the TV-watching experience of your favourite programme?’ and below are two photos taken with my HTC desire to document the work in progress.